Even "Cooler" Warm Days Become Boiling Hot Cars in Minutes It doesn't take a 100-degree day to turn a car into an oven. When the temperature is 70 degrees outside, it may not seem overly hot, but the temperature inside a car can rise above 100 degrees in just 30 minutes. When it is 90 degrees outside, that same half hour can turn a car's interior into a blistering 130 degrees. 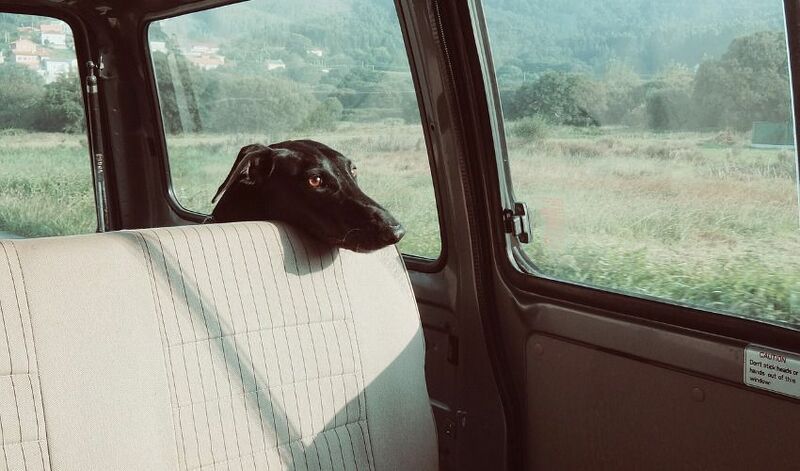 Cracking Windows or Parking in Shade Doesn't Help Many pet owners mistakenly believe that parking in the shade or opening windows an inch or two will keep the car cool enough for their pets. Multiple independent studies have shown, however, that there is no discernible difference in how quickly a car's interior heats up even if these tricks are used, and pets are still in danger. Humidity Is Even More Harmful When a hot day is humid as well, pets are in even more danger. Most pets cool themselves by panting and evaporating moisture from their tongues, and that moisture cannot evaporate as effectively in humid conditions, even if the overall temperature may seem cooler than the hottest summer days. The Car Should Never Be Left Running While it may seem like leaving the car running with the air conditioner on is an easy solution to keep a pet comfortable in a car, it is irresponsible. A mechanical failure can shut off the engine and air conditioning, causing the same dangerous conditions for the pet, and a car with the keys in it is a more favorable target for thieves, making the pet vulnerable to being stolen or injured. If the pet is loose in the car, they may also knock against the gearshift or otherwise activate the vehicle in some way, causing an accident or other problems. Pets at the Greatest Risk While all pets are at severe risk if they are left in a car on a summer day, some pets are at even greater risk than others. Very young or elderly pets are more susceptible to the heat's effects and can succumb more quickly, while pets with shorter muzzles, dark fur, heavy coats or those that are overweight are also more at risk from overheating. Know the Laws In some states, it is against the law to leave a pet inside a hot car, and negligent pet owners can be faced with violations or charged with animal cruelty, and may be subject to fines, jail time or other penalties. They may also be liable for charges resulting from emergency personnel rescuing the pet from a hot car.